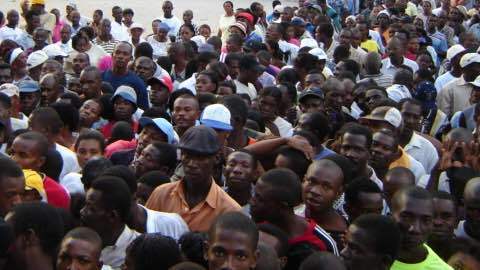 In October, Haitians went to the polls in a critical election for nearly 5,000 political positions, including the presidency. The preliminary results named Jovenèl Moïse, a member of outgoing President Michel Martelly's party, as the frontrunner -- though by a small enough margin that a runoff vote is planned for December 27th. Unfortunately, evidence of overwhelming fraud discredits these results. If the putsch is successful, Haiti could have yet another U.S.-backed president with a weak democratic mandate. The United States has a long legacy of destructive intervention in Haiti -- whether through direct military occupation, support for heinous dictators, facilitation of coups d'état, or manipulation of the electoral process. The election of Martelly in 2010 was a case in point, illustrating the lengths that the United States -- along with the Washington-dominated Organization of American States -- is willing to go to ensure that only politicians who comply with the policy dictates of elite interests hold power in the western hemisphere’s poorest country. The flaws in that election were profound: The most popular political party was prohibited from participating, and there was widespread disenfranchisement and fraud. After the 2010 vote, an OAS panel of international experts, lobbied by then Secretary of State Hillary Clinton herself, intervened to move Martelly onto runoff elections, despite a lack of votes and an abundance of Haitian and international outcry. OAS Special Representative Ricardo Seitenfus described the maneuvers even then as a “silent coup d'état." Martelly went on to serve as a puppet for the interests of the international and Haitian elite, notably through his "Haiti is Open for Business" program, which promotes multinational investment in high-stakes extraction and development. Much of the land seized for these purposes has been taken from small farmers and other desperately resource-poor people. The U.S. has provided Martelly enthusiastic support, with Secretary of State John Kerry, U.S. UN ambassador Samantha Power, and U.S. ambassador to Haiti Pamela White all offering statements of support in moments of crisis. Yet Martelly's government failed to hold even one of the numerous constitutionally mandated elections for parliamentary and local offices. Martelly's unwillingness to organize votes led to the dissolution of parliament after every member's term expired in January 2015, allowing him to rule by presidential decree ever since. While the October elections were praised by the international press as comparatively calm, they were plagued with the same manipulation of years past. In addition to other forms of fraud and vote theft, out of the 1.6 million votes cast, over 900,000 were entered not by normal citizen voters, but by people with passes awarded by political party representatives. The Center for Economic and Policy Research reported that these passes were sold to the highest bidder for anywhere between $2 and $30. The preliminary results of the presidential candidates that will move onto December's runoff elections were released on November 4th. The only candidate that did not denounce the results was the first-place winner Jovenèl Moïse, the government's preferred candidate and a key player in Haiti’s growing agribusiness industry with a large financial backing. Seven others have called for an investigation, and the Haitian people have regularly taken to the streets to protest yet another vote being stolen. Nevertheless, the U.S. and OAS are standing by the declared results and have both released statements of support for the integrity of the elections. The elections work for the international community, who wants a president like Michel Martelly to negotiate away Haiti's land and resources to them. They don't want a popular president to govern Haiti, because a popular government would value the needs of the Haitian people, not the Rodham-Clinton family. We hadn't had elections in [five] years, and the international community is complicit in that. Can you imagine what would happen if that happened in the United States? This is the kind of democracy that we get in Haiti. One man, one vote? Not in Haiti. We still don't know how many votes President Martelly received in the last elections, and I believe this will happen again. The international community will appoint “experts” who will ignore irregularities and say that the election is good. They have put everything in place to ensure that they have another puppet to exploit Haitian resources. We need a government that will reject the neocolonial policies that destroy our country and impoverish us. The politicians tend to serve the countries with power, not the Haitian people, which is why we have terrible schools, terrible health care, and no agrarian reform. Because of these policies, our peasants are working without any support to grow food -- which creates profit for the multinational corporations that exploit our resources [and are subsidized by their own governments]. Those policies are the reason the international community needs to manipulate the elections. We could make a better Haiti, if we were able to defeat the U.S.' plans, the World Bank's plans, and the Clintons' plans for Haiti. These plans are killing us; they are organizing Haiti's disorder. It's a struggle, but day by day the Haitian people are learning where their misery comes from. American people should learn this, too. Our poverty comes from America. You must also understand that the United Nation's Peacekeeping force, MINUSTAH [in Haiti since 2004], is part of this, too. MINUSTAH isn't in Haiti to keep the peace or promote democracy. They are an occupying force there to protect the interests of the Haitian elite, the U.S., and multinational corporations. Haiti is not a threat to our region or the international community, and we are not at war. The majority of Haitians don't want MINUSTAH in their country. Yes, Haiti needs help, but we don't want policies that create more poverty or undermine our democracy and sovereignty. People in the US who look to CNN or Fox for their news receive biased interpretations of what happens in Haiti and of the Haitian people. They don't understand how the United States undermines freedom and democracy. We need people to be informed and engaged so they can walk hand-in-hand with the Haitian people. Haitians know what elections are, and we know what democracy is. We learn in school that democracy in universal, and we know that we can't build democracy without fair elections. Better elections are held in Canada, in France, and in the United States, but why can't we do that in Haiti? Haitians are people with rights, too. Haiti is a model of freedom. In 1804, we won our independence. We supported Bol'var, and others throughout South America, in their struggle for freedom. During the U.S. Civil War, Haitian people fought to give slaves their independence in Savannah. The father of our independence, Jean-Jacques Dessalines, welcomed any U.S. slave to come to Haiti to be a free person. Our experience is a struggle, but we do understand what freedom is. We need people to continue this struggle for freedom with us, as we have in the past for others. I've studied the story of Rosa Parks and the civil rights movement in the U.S. Maybe one day, Haiti, too, can be a story of freedom again. We have a saying in Haiti, men anpil chay pa lou. In English, this means “many hands make the load light.” In Haiti, we have been forced to carry many heavy burdens. The burden of slavery, of poverty, of occupations, of coups d'état organized by powerful countries. We have managed to carry these burdens by putting our hands together. I am confident that we will have a better day in Haiti, and that one day we will be free. Latin America: "Will Washington Greenlight Another Coup in Haiti?"